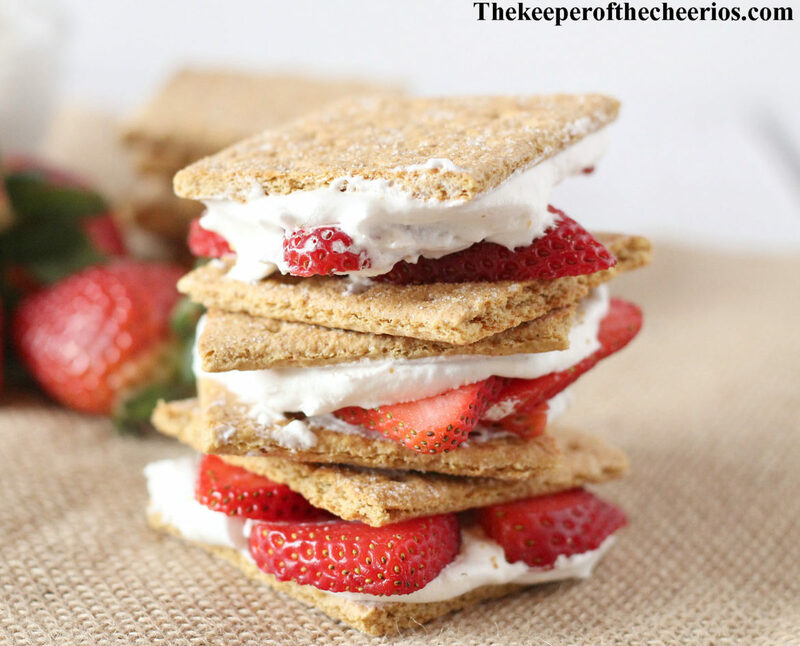 These Strawberry shortcake s’mores make the best spring or summer treat, they are such a light and fresh snack. 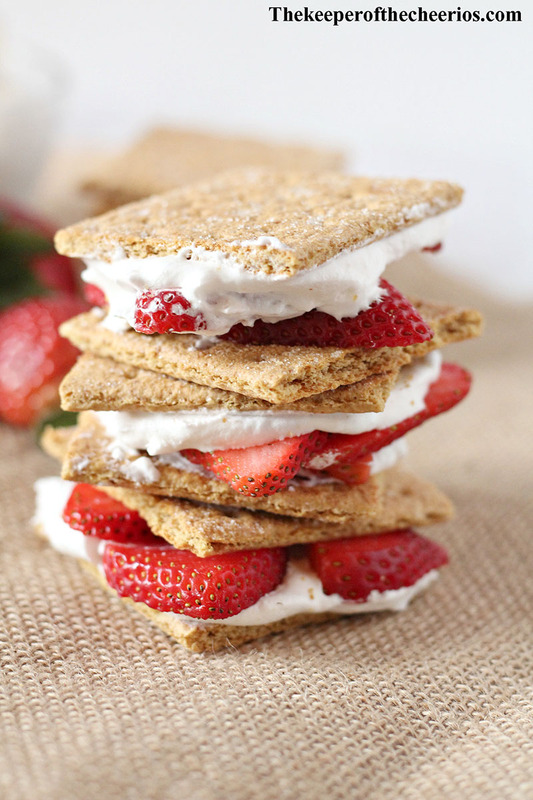 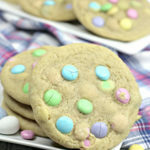 These s’mores are made with cool whip but would even be amazing with marshmallow creme and a drizzle of chocolate over the top. The possibilities are endless. 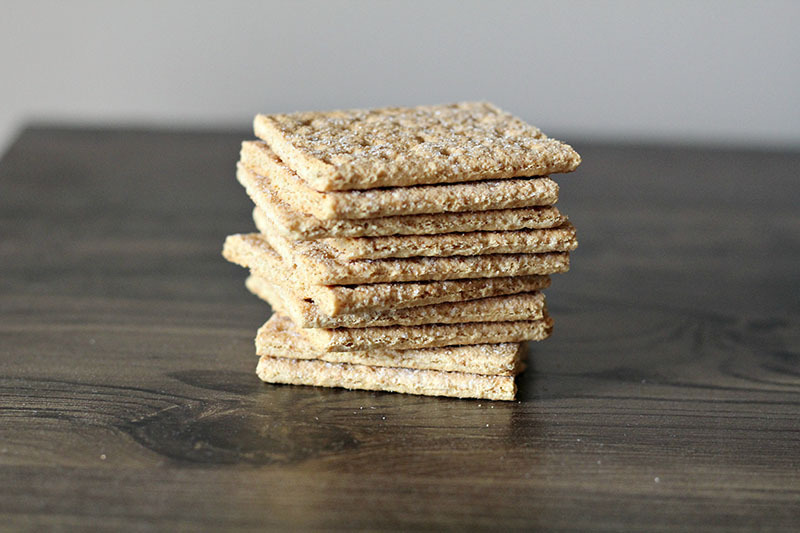 Start by cutting each graham cracker in half. 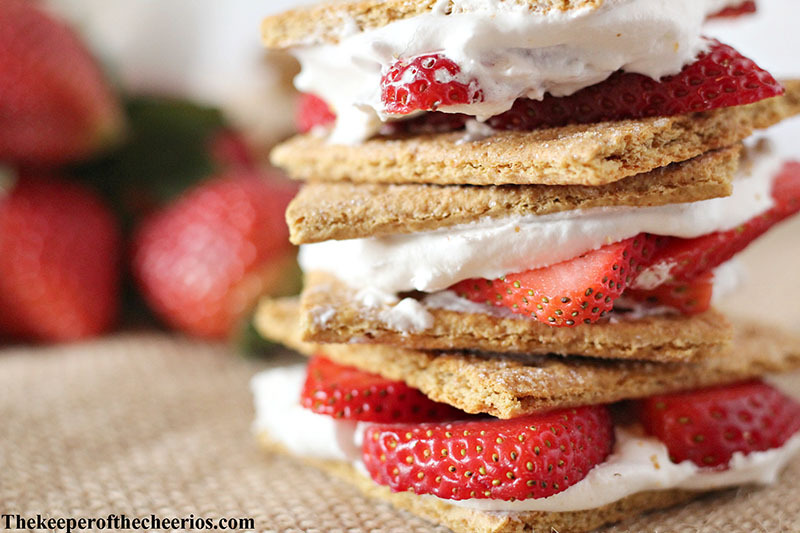 Next slice your strawberries (long ways). 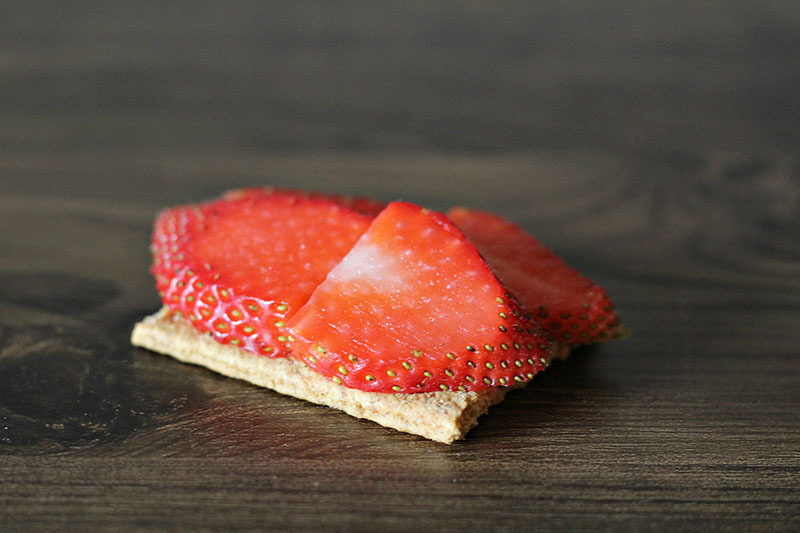 Place 4 strawberries on the top of one graham cracker. 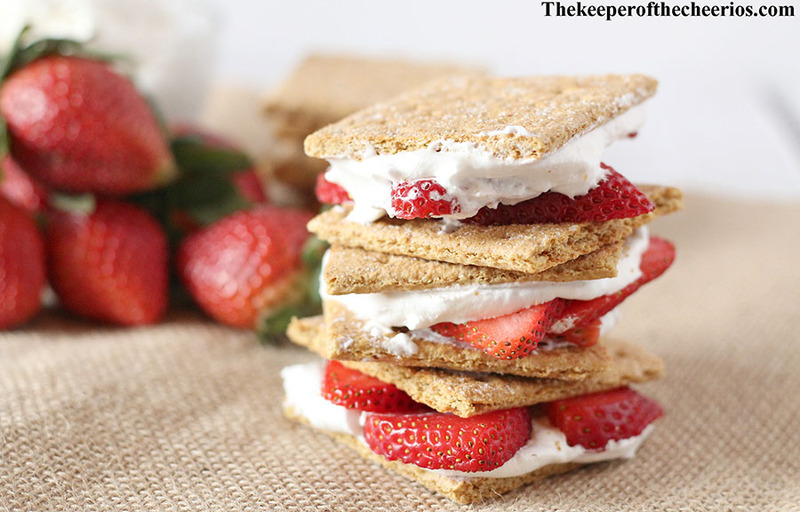 Take the other half of your graham cracker and place about 1 and 1/2 tablespoons of cool whip on top. 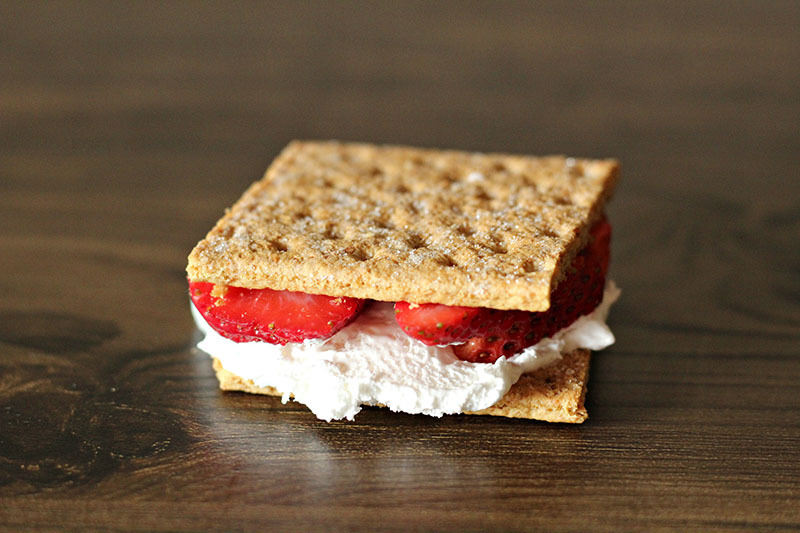 Place the two halves together as shown. Place in the freezer for 2 to 3 hours.